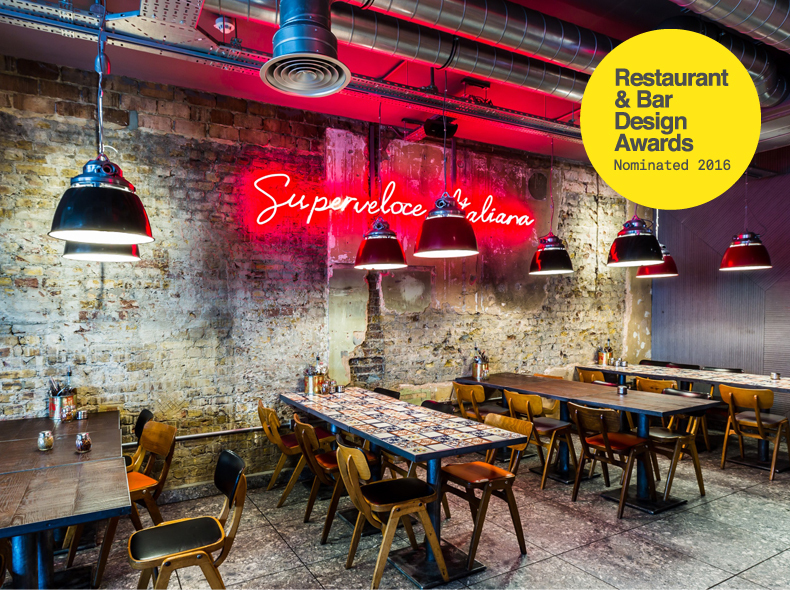 The shortlist has just been announced the internationally renowned Restaurant & Bar Design Awards and we’re delighted that Pizza Union Kings Cross has been nominated in the category of London Restaurant. With almost 1000 submissions from over 60 countries worldwide, the quality of entries was outstanding. Winners will be announced in September, so in the meantime why not experience Pizza Union for yourself at the two London restaurants we have designed with founder Bobby Hashemi. Read more about the projects in the Case Studies area of our website.